Earlier today the founder of cryptocurrency Multiversum, Andrea Taini and a few of his colleagues once again took time out from conducting their recently extended (more on that later) ICO and opened up to the members of the official Multiversum Telegram channel for an hour to answer questions from the community. There were a lot of new questions and interesting insights from the community, allowing Andrea and his team to share more information surrounding their vision and how they plan to execute it. We at TheCoinRadar.com have once again reproduced the questions from the Q&A below. To read the first Q&A please follow this link. Whilst we were unable to include the names of the questioners (with the exception of ours, as we asked them), we have stayed as faithful as possible to the original questions and answers, amending them only to correct any typos and alter syntax to improve readability. Questions have also been moved around in a few cases to aid readability: for example, the ‘Where did the idea for Multiversum come from?’ question has been moved to the top, as has the ICO extension question as it is topical. Alongside answering the questions, Andrea also let slip a few exclusive pieces of information and provided the following MTV XEM & Proximax Memorandum detailing their partnership. Oh, and this picture of a Belorussian soldier that he saw whilst visiting Belarus on a recent business trip. Questions are in bold, with the answers directly below. Any follow-up questions are so indicated. The raw data was copy and pasted directly from Telegram and can be viewed by visiting the channel, searching for "you recently made the decision to extend your ICO" (the first question asked) and then reading down. Where did the idea for Multiversum come from? I realized that blockchain was not a professional way of modern developing at was almost unusable: I decided to give my contribution. The trigger has been having the duty of developing Liberland IT infrastructure in Blockchain and realising how weird it was working with Ethereum. 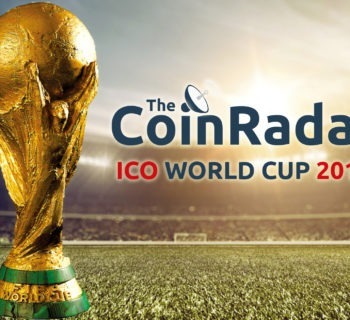 [TheCoinRadar]: You have recently made the decision to extend your ICO from 10 June to 24 June. What was the reason for this, please, and how do you think it will be beneficial to the Multiversum project in the long term? There are several causes that contributed to the sudden and improvised prolongment of the ICO time. 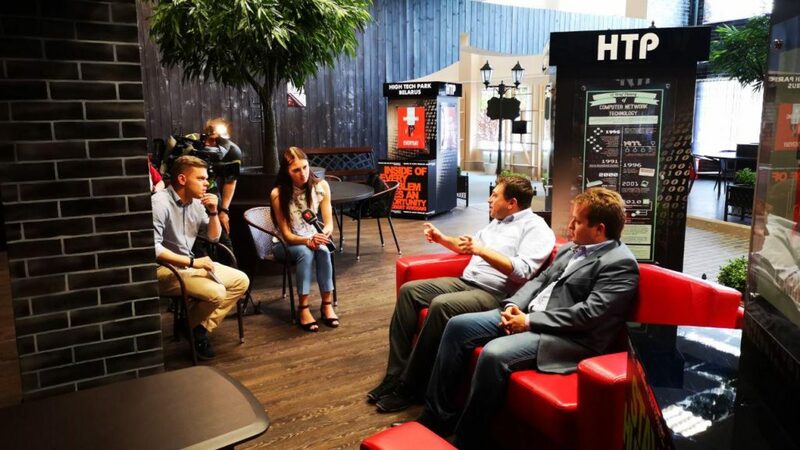 The first has been the shift of the beginning of the ICO two weeks later, precisely because the team was touring in the most visible and renowned Expos all over the world. We had an ever-increasing request for information, and then a surge in interest that we cannot and do not want to leave unattended. Many partners are waiting for us in the next days, in Dubai, Seoul, Shanghai and Hong Kong. This is not only a great opportunity for the team members but also for the whole project, these more partnerships will be precious in terms of time but, most of all, quality of service. I would like to propose a question: it was recently mentioned that there was an interest in the project from Asian countries. could you provide more details? Sure! Tomorrow we are going to Seoul to meet some companies and partners that we can't disclose right now, and then next week we have been invited to the 121 Tech Investment in Hong Kong. In general we are having a lot of interest from Eastern countries in recent weeks. Our analytics show that almost 85% of our site traffic is coming from Asia. If there was a transaction and it needed to be validated, if all the 64 cores are available in the Multiversum network, which core of 64 is chosen for the transaction? The software is multi-threaded, so the so the core is chosen by either the operating system, or the virtualized container. [Follow-up Q 1:] If rules set by operating systems choosing the core for transactions is Multiversum centralised and controlled by computer? [Follow-up Q 2:] Auto-elected means randomly selected by operating system from all the 64 nodes which are free? There are 64 cores: a processor have generally 4 cores (plus 4 virtual cores). An average big server has 8 processors (sorry for the lack of precision, but I am not a hardware expert) So 4 cores in a processor, and then 8 processors is 64 cores. Auto-elected: some nodes are chosen for special function thanks to technical properties: their processor power, ping time, free memory, current working load, etc. What's the advantage of Proof of Integrity in comparison with Proof of Work or Proof of Stake? The main advantage is that without losing a security transaction and data can be validated with much less computational power. This allow us to have light nodes. Proof of Integrity has a minimal energy foot print! It is therefore incomparable with other blockchains. Andrea what about DB – why would why a company would prefer the MTV blockchain instead of other blockchains or DB? Other blockchain are only simple distributed master books: it is hard to find data inside, inefficient, slow, they have to develop more logic and more code, which therefore increases time to market, development costs and the associated risks. I would invert the question and ask: how anyone could think to use anything else but Multiversum for their distributed/decentralised applications? Given your relations with the institutions of Belarus, have you tried to propose your product as a relational database for the bodies of the armed forces / police? Yes the iOS app is done and is now running as an IPA package for internal use in our dev devices. We are just waiting apple approval (which we expect to be within the next month). However, you can come to any of our future Expo stands to try the IOS app. Do you think that listing tokens on exchange before the platform's release can be beneficial? could you explain why? No. It's never beneficial. It leads to a volatile and speculative market, and that takes the use case value – which should be the key determinant as to its value – of the token away. [TheCoinRadar]: How does Microsoft’s acquisition of Github affect you? Will you still be publishing the majority of your code there, or do you plan to migrate to another open source code repository? Our proprietary code is not on Github, is on our private servers. We have no problem using Github to share our public code, the Microsoft acquisition don't affect us at all. Exactly. The code of nodes will be public and open source. The only code we won't distribute is for our Crypto Persistency Architecture libraries that are an extension of JPA: they will be freely available (with code obfuscated against decompiling) because they are our proprietary product. We have been called many times from Microsoft for cooperating on their Blockchain project in Azure and we had multiple meetings with them: we are already Microsoft partners. How will Proof of Integrity handle the 51% attack? To run a node you both need to have some MTV tokens blocked in the node and our locked container for Proof of Integrity. The consensus algorithm takes consideration of those two factors into account. When will this Q&A end? Have other Italian parliamentary groups been contacted for digital voting recently? How are the negotiations proceeding? We're actually working side by side with just one Italian parliamentary group. There is no negotiation on that, because we agreed on a Blockchain vote project as it's the first step. Mr. Taini, I have three questions for you. 1) What advantages does the Multiversum blockchain have with previous BCs (Cardano, Stellar, Neo, Nem, etc.) excluding the old Ethereum; 2) What is the secret, the mechanism and the advantages of parallel work that will differentiate Multiversum? ; and 3) Do you plan to implement a decentralized or semi-decentralized exchange on the Multiversum blockchain? Other blockchains are technically really just a medieval master book in which you only write values [bit of information] one after the other. To find any values [information] written before there, you have to scroll through the entire book/ledger. It is inefficient, slow and therefore inapplicable to modern programming techniques. Plus, you have to break all your applications in unstable multi-step logic with a lot of pain for developers, making really easy tasks more onerous than they need to be. Multiversum is a step forward for the blockchain: it reduces a block to a single record and understands that the "medieval master book" is only a support of persistence of data: it can be easily improved using a database: ultra-fast research, absolute higher security, the ability to combine very complex queries to make the application programming side a simple, one-step business logic development: all that with JPA libraries (actually a super-set of that) that can be learned by traditional (and not BC programmers) in about 5 minutes: a ultra-fast and easy learning curve! This is why I am sure that within a year Multiversum will substitute Ethereum and EOS. It has a modern programming style and is easy to use and learn, instead of being comprised of painful code prone to have bugs: any professional developer will simply refuse to work with other platforms because they are not the professional way to do things. Really, this is a statement as top professional with more than 20 years of experience in the field! Are there already any connections with organisations? Mutiversum is soon [in June/July] to be voted on in the Italian Parliament as the blockchain for the national electoral system of Italy. The Hungarian State Treasury is planning a Pilot with us. There’s two European official countries already!!! Then pilot is planned with a German global courier. We have become partners of Microsoft and have already made plans to include a Multiversum solution in the Azure Marketplace. Tomorrow I go to deal with a bank in the Emirates and a telecommunications company in Dubai. We signed a memorandum for technical cooperation with NEM. We have an important solution provider from Dubai, HyperChain as partner to cooperate with Dubai Government projects. Andrea Taini discussing Multiversum at High Tech Park in Belarus. Do MTV plan to inter-operate with other blockchains? Yes sure, we are already in contact with other blockchains to integrate with our system. In case you CEO retire or otherwise abandon the project unexpectedly, will there be something that will guarantee the continuation of the Multiversum project? There is a team that is already working on the blockchain. It's not all in the hand of the CTO. Apart from the election dApp, Are there any other dApps you will be deploying soon, or other partnerships lined up? Deleting a transaction done [Roll Back] in a blockchain is the biggest feature that you want to release? Sorry to correct you, we never said that we will either delete or allow our platform to delete any single transaction. Roll Back means a very different thing: it means adding another transaction to the transaction list in order to restore the information on the ledger to the desired state. Both the incorrect and correct piece of information will still be on the ledger itself. However, the correct piece of information will supersede and therefore ‘replace’ the incorrect piece of information in the relational database. 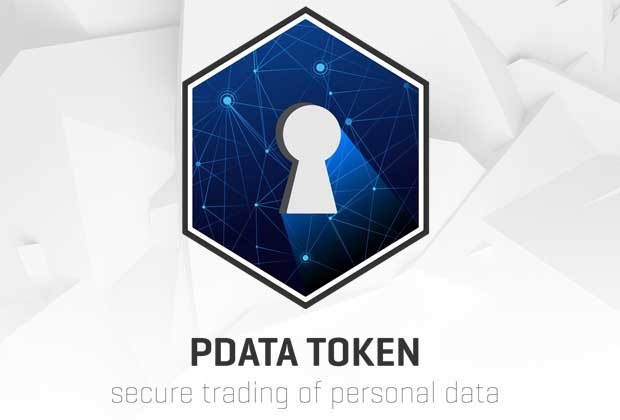 This will allow businesses to maintain the accuracy of their data, whilst also maintaining the integrity of the blockchain. By the way Versum, our token does not have this feature inherently. It is a decision to be made by the company in their application whether or not to implement Roll Back in the NameSpace forming contract. No contract can be deleted from a blockchain. It is against blockchain values and its fundamental basis. How much time did you take to learn our [Multiversum’s] libraries to develop an app on our blockchain? Bellazio79: I learnt Multiversum libraries and made my (easy) first distributed app in less than 15 minutes. Hello. I am curious why the target this project is aiming for is $65 million? We made the business plan in a period in which the market was much more bullish, and we included 2 Hard Cap extensions. We then removed them to avoid confusion. The hard cap is unchanged at $35m, but there are not extensions any more. Why you think that companies will adopt your new technology? Many have huge databases that are very expensive to rebuild, for example the banks at the end of the last millennium had the millennium bug and instead of building new databases they just found a trick to avoid the change of the structure of their databases. We offer a Corporation package (and a Government one) that offers some tools for migrating Data and Code to Multiversum automatically. What do you mean by "Splittable Chains"? Is it similar to side chains? Every 1,000 blocks, the sub-chains are re-joined again to avoid inconsistencies in the ledger. [TheCoinRadar]: 141,000,000 is quite a precise number of tokens to have - was there a reason for it? Why not just 150m? I was also always curious about that precise number! 😀 I suppose it just sounds appropriate. BUT! 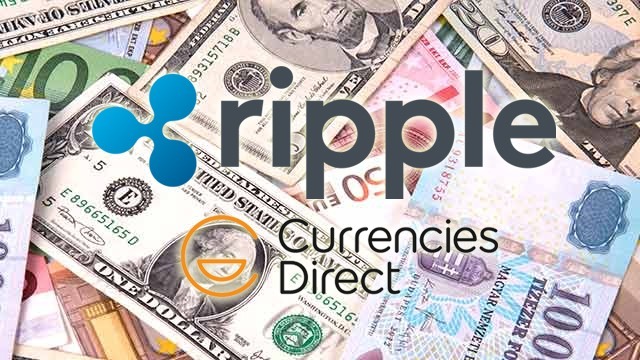 the general amount has been carefully calculated, giving a market value to any unique feature of our proposal, then summing that values and allowing quite a large amount for the air-drop for HODLers. I saw you have a new function - High Availability. I am not quite competent in this matter, but earlier the network also gave an opportunity to continue work at breakage of some knots. What is the feature of your function? High availability is the possibility to allow priority access to the system in case of high work load or partial failure of it without negative consequences. As a developer, how do I get started with Multiversum? There is a form on our website for requesting the the SDK: complete it, and you will quickly receive a minimal code example document (you should know how to use Java JPA as base), one node and our libraries: I suggest you to expose methods through REST to try it faster. is there a fee to deploy dApps on MTV blockchain? Yes. There is a fee to open and maintain NameSpace, a fee for inserting data based on dimension of them and a fee to query data (base on processor usage). Multiversum is pay-per-use (or Blockchain as a Service. You don't use, you don't have to pay, you pay just what you use for user best convenience! The best assurances are always fact: we had promised to start to develop our product one month after ICO, but we started two months before and now we put so much energy and effort into the project that we are now more than five months ahead of where we anticipated that we would be on our roadmap. Multiversum DOESN'T respect its RoadMap: we have just overtaken it because of our enthusiasm and love for our work! And, once again, that was that! 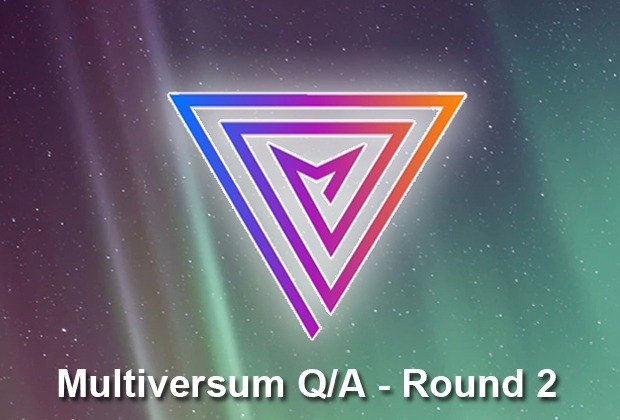 We hope you have all enjoyed reading through this second Q&A and now have a greater understanding of Multiversum's project and its goals for the future. 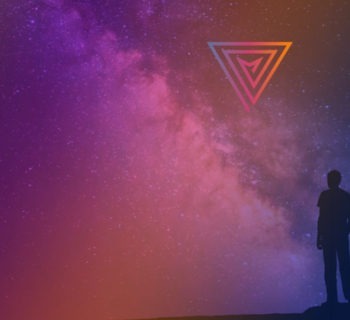 Here at TheCoinRadar we have created a four-part, in-depth series of articles covering Multiversum (‘MTV’), the 4th Generation Relational Blockchain. For more information about this project, please click the following hyperlinks to read Part 1, Multiversum: An Overview, Part 2, Multiversum: Token Metrics, Part 3, Multiversum: the Team and Part 4, Multiversum: A Comprehensive, Independent ICO Review.